I am very happy to announce that I will be back at CreativeLIVE in the Seattle studio on April 16th and 17th teaching an in-depth two-day class on digital workflow. The class, entitled The Professional Photographer’s Digital Workflow, will cover everything from image capture to the final print. This is not just a class on how to process your images, it is a detailed class for any and all photographers looking to take their photography to a whole new level, stay organized and make sure that they are getting the best possible image quality. Thousands of my followers have purchased my e-book A Professional Photographer’s Workflow: Using Adobe Lightroom and Photoshop over the last decade. I have had incredible response to that book, but many have asked that I create a video version of the book. This CreativeLIVE class won’t cover everything contained in the e-book–we would need a few weeks at the very least to do that–but it will cover a good portion of the key basics contained in the book. 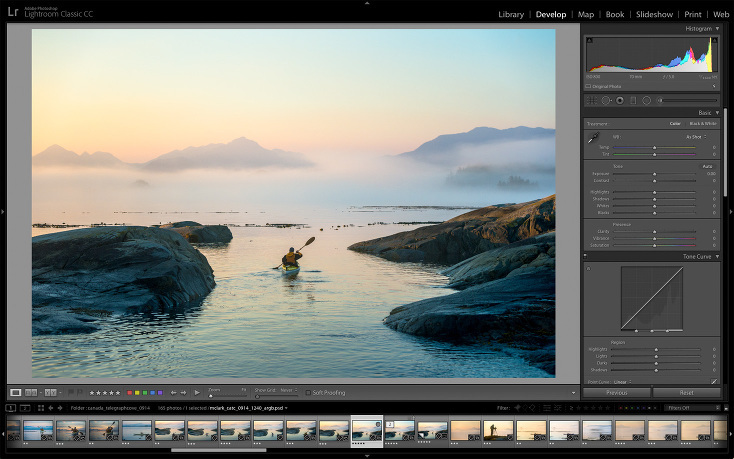 We are going to take a deep dive into color management, sensor cleaning, image organization, file and folder naming, processing images in Lightroom and Photoshop, printing, backing up your images and much more. 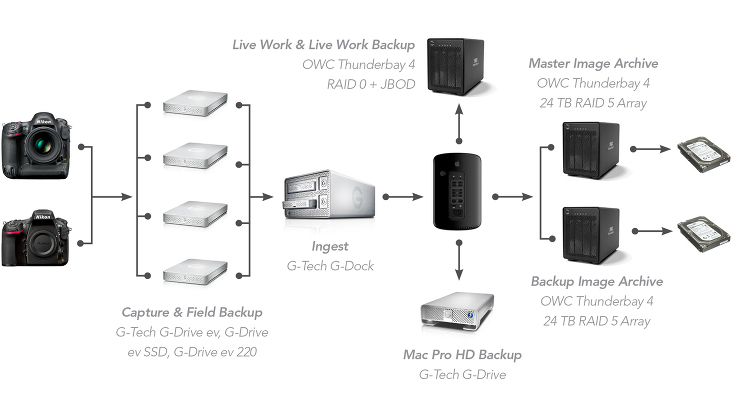 Shown in the flow chart below is my backup system, which is quite complex compared to what most photographers probably need. But, this is just an example of some of the topics we will discuss in-depth. While my specialty is adventure sports photography, this class is not at all specific to adventure sports photography. This is a class that every photographer can get something out of. When I teach photo workshops, I often tell students that they can improve their photography massively by learning a solid digital workflow and learning how to work up their images better. In this class, we will cover everything that you need to know to take your photography to the next level. Please note that this class will be taught in a way that you can implement what you want and leave the rest behind if it doesn’t work for you. So, in that sense, it is applicable to amateurs and professionals of any level. I hope you can tune in! Setting up a practical and efficient workflow with your photography feels like a daunting part of your business. Internationally recognized photographer Michael Clark introduces you to techniques to allow you more time to shoot the images you want. His workflow philosophy is that you must first know how you are going to edit the image in post production to know how you need to shoot it. Making fine art prints, choosing your printer, paper, understanding ICC profiles, and much more! Michael covers everything you need to know in order to streamline your post production workflow in Lightroom® and Photoshop® and best practices for printing your art at home. Digital photography is far more complicated than shooting film ever was. Knowing the best practices for a digital workflow will make you a better photographer. To sign up or to purchase The Professional Photographer’s Digital Workflow class visit the CreativeLIVE website. Marcia - Michael hit the road running this morning on Creative Live! What a great start to a meaningful course. This is great. Thanks.